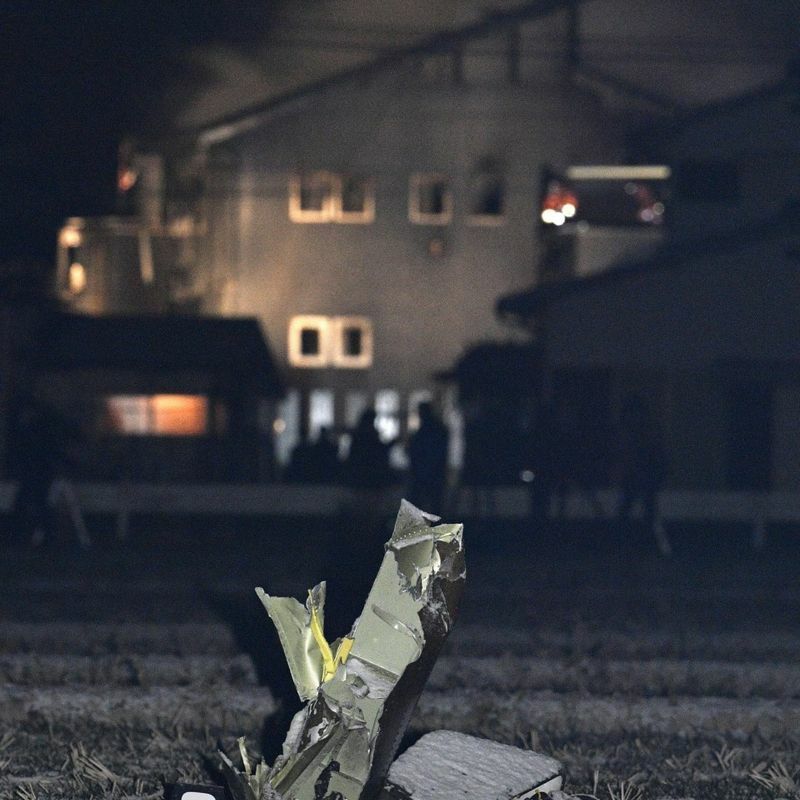 SAGA, Japan - One Ground Self-Defense Force member died and another is missing after a helicopter crashed into a house in southwestern Japan on Monday afternoon, the central and local governments said. 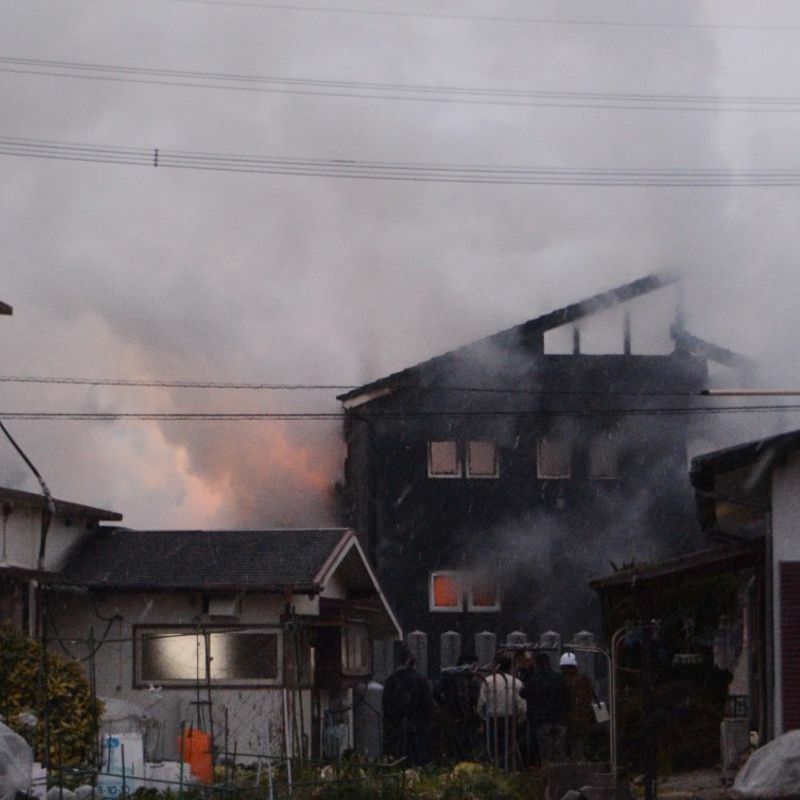 The AH-64D attack helicopter, which was based at the GSDF Metabaru Camp, crashed into the two-story home in the city of Kanzaki in Saga Prefecture during a test flight at 4:43 p.m., setting it ablaze and gutting it. An 11-year-old girl who was inside the building suffered minor injuries to her knee when she fled from the house, which was home to a family of four. But no other injuries have been reported among local residents, police said. A second house on the same premises was partially damaged by the fire, but the girl's 69-year-old grandmother who was inside at the time of the accident, escaped safely. 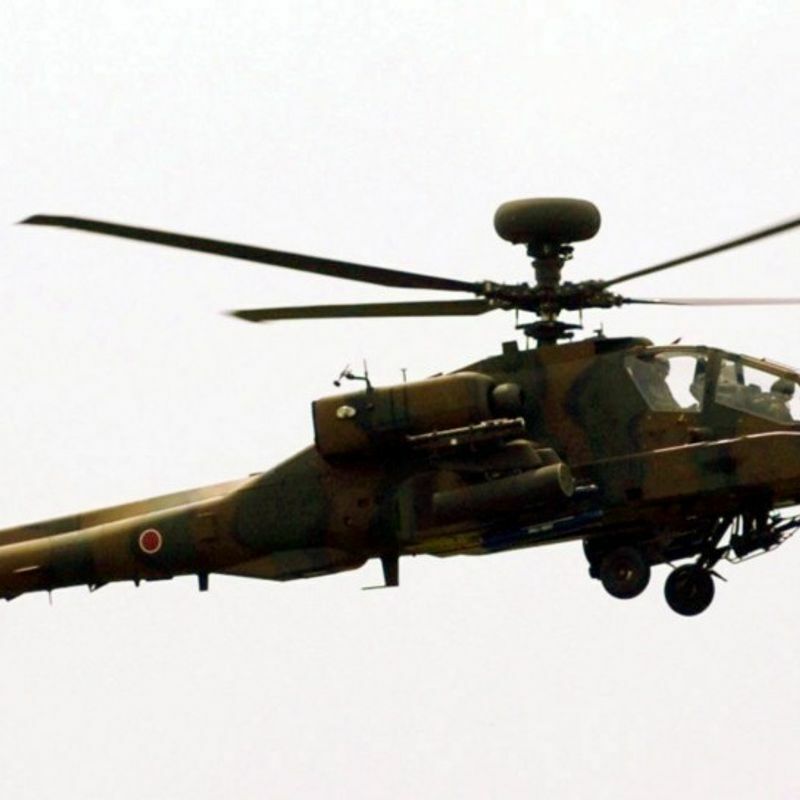 Defense Minister Itsunori Onodera expressed concern the accident took place in a residential area, while the government ordered the SDF's 12 other AH-64D helicopters to be grounded and inspections to be carried out on the entire helicopter fleet. The crashed helicopter is believed to have nose-dived into the house, according to the minister. "We are working hard to confirm the situation," Onodera told reporters in Tokyo. A woman living near the accident site told reporters that she went to see what was happening after she heard a large bang. "There was a big hole on the second floor of the home and I saw flames coming from there," she said. Keiichiro Tabaru, a 21-year-old resident who was doing farm work about 3 kilometers away, said, "I didn't expect a helicopter would crash. I'm trembling." Black smoke was seen billowing from the residential area, which is located about 4 kilometers south of Metabaru Camp.